7.1 years of teaching experience in Canara Engineering College Mangalore, Karnataka and 4.2 years of research experience. Secretary of ACME (Association of Mechanical Engineers) at Canara Engineering college. Harsha Kumar, Gnanasekaran N., (2018), A Bayesian inference approach - estimation of heat flux from fin for perturbed temperature data, Sadhana, 43:62. Harsha Kumar, Gnanasekaran N., (2017), A synergistic combination of Asymptotic Computational Fluid Dynamics and ANN for the estimation of unknown heat flux from fin heat transfer, Alexandria Engineering Journal, Elsevier. http://dx.doi.org/10.1016/j.aej.2017.01.034. Harsha Kumar, Vishweshwara PS, Gnanasekaran N and Balaji C., A Combined ANN-GA and Experimental Based Technique for the Estimation of the Unknown Heat Flux for a Conjugate Heat Transfer Problem, Heat and Mass Transfer, Springer. https://doi.org/10.1007/s00231-018-2341-3. Sharath Kumar, Harsha Kumar, Gnanasekaran N., (2016), A neural network based method for estimation of heat generation from a teflon cylinder, Frontiers in Heat and Mass Transfer (FHMT), 7, 15, DOI: 10.5098/hmt.7.15. Amey S Kulkarni, Harsha Kumar, Gnanasekaran N.,(2015), A New Forward Model Approach for a Mild Steel Fin under Natural Convection Heat Transfer, International conference on Computational Heat and Mass Transfer-2015, Procedia Engineering 127: 317-324. Hybrid Monte Carlo approach for estimation of heat flux from fin for perturbed temperature data. Harsha Kumar MK., Sharath Kumar, K. Srinivasa Sagar, Gnanasekaran N, 23rd International Conference on, Interdisciplinary Mathematical, Statistical and Computational Techniques,(IMSCT 2014- FIMXXIII), NITK, Surathkal, India, 18-20 December, 2014. Synergistic approach for the simultaneous estimation of heat transfer coefficient and heat flux using fin from steady state heat transfer experiments. Harsha Kumar MK., Sharath Kumar, K. Srinivasa Sagar, Gnanasekaran N, 6th International Symposium on Advances in Computational Heat Transfer (CHT-15), Rutgers University, Piscataway, USA, 25-29 May, 2015. Estimation of heat transfer coefficient of a mild steel fin using inverse heat transfer approach, Harsha Kumar MK, Amey S Kulkarni, Gnanasekaran N, International Conference on Computer Aided Engineering (CAE-2015), Department of Mechanical Engineering, GITAM University, School of Technology, Hyderabad, India, 10-12 December, 2015. 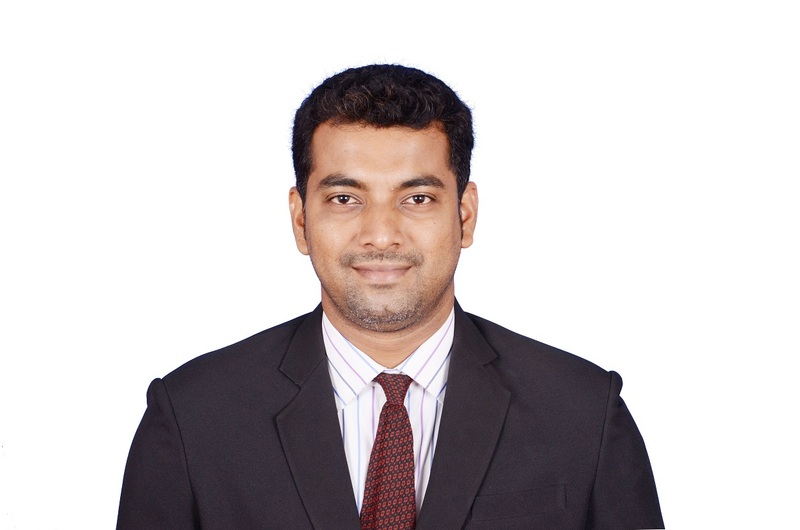 Simultaneous estimation of heat transfer coefficient and thermal diffusivity for rectangular fin under heating and cooling process, Harsha Kumar MK., Gnanasekaran N, Proceedings of the 23rd National Heat and Mass Transfer Conference and 1st International ISHMT-ASTFE Heat and Mass Transfer Conference IHMTC2015,Thiruvananthapuram, India, 17-20 December, 2015. The use of GA and PSO for the inverse estimation of heat flux in a conjugate heat transfer problem, Harsha Kumar MK, Vishweshwara PS, Gnanasekaran N., Proceedings of the 24th National and 2nd International ISHMT-ASTFE Heat and Mass Transfer Conference (IHMTC-2017), BITS Pilani, Hyderabad, India, 27-30 December, 2017. MCMC and approximation error model for the simultaneous estimation of heat flux and heat transfer coefficient using heat transfer experiments, Gnanasekaran N., Harsha Kumar MK., Balaji C., Proceedings of the 16th International Heat Transfer Conference, Beijing, China, IHTC-16, 10-15 August, 2018. Accelerating MCMC using model reduction for the estimation of boundary properties within Bayesian framework, Gnanasekaran N., Harsha Kumar MK., International Conference Numerical Heat Transfer and Fluid Flow, NIT Warangal, India, 19-21 January, 2018.